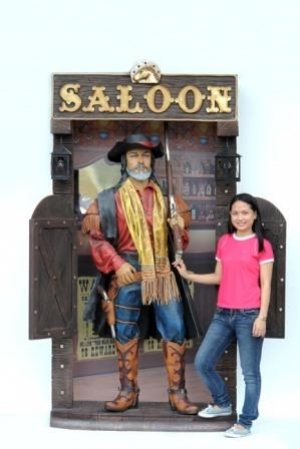 This Saloon Bar Cowboy is a fantastic large Western model, a centre-piece ideal to set against a wall or to disguise a service area in a Wild-West themed resturant. 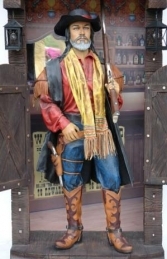 This fabulous figure of a pioneer Cowboy carrying a shotgun emerging through the door of a Western Saloon will look sensational in any Wild-West or North American themed area. 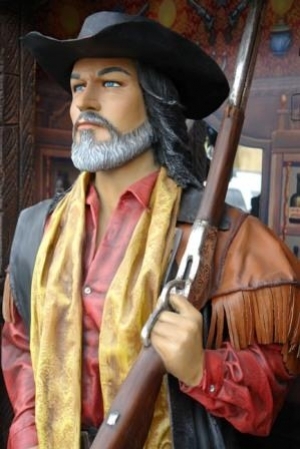 The detail in this model is fantastic from the painted back-drop of the bar itself to the realism of his clothing and guns. 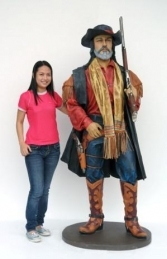 This figure is also available freestanding (JR 2521). 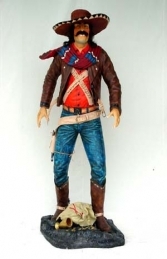 PLEASE CONTACT US ON 01626 833646 or 078606 80181 TO DISCUSS THIS COWBOY MODEL & THE OTHER WILD-WEST FIGURES IN OUR WESTERN THEME SERIES. PLEASE PHONE US TO PLACE AN ORDER & FOR A QUOTE FOR DELIVERY COST TO YOUR POSTCODE. NB -DELIVERY - Please note that the delivery price quoted through the website ordering system is based on average delivery costs to mainland UK address when the ordered item or items are sent through a pallet-line service. Please phone to confirm cost. For large items such as this the delivery cost relates to the number of lorry pallet spaces required. However, wherever possible we try to personally deliver large items to your door when we can combine deliveries in an area; this does require flexibility for delivery date. Delivery charges on orders for multiple items will of course be discounted accordingly.